← RECOMMENDED: 2009 William Knuttel Cabernet Sauvignon, Sonoma County. 13.9% ABV. $19.99. Delicious! Oak, vanilla, and cinnamon. A first impression of brown sugar and jam gave way to a dry, beautiful wine. This is a wonderful, versatile everyday (i.e. inexpensive) blend that’s good enough for a dinner party. Delicious and classy, made in the Bordeaux manner. It does seem to be finicky about its serving temperature. We found that if we served it at room temperature, it was fabulous–but if served a little cooler, not so much. LABEL NOTES: Our Meritage is a classic blend of Cabernet Sauvignon, Merlot, Malbec and Petit Verdot from some of California’s best appellations. This richly textured wine has flavors of cherry, chocolate, black raspberry and vanilla, which lead to a full, lingering finish. Enjoy our Meritage with grilled or roasted meats and hearty vegetables. 2008: 57% Cabernet Sauvignon, 37% Merlot, 3% Cabernet Franc, 2% Petit Verdot, 1% Malbec. Same ABV, similar label notes with adjustment to reflect the different blend. 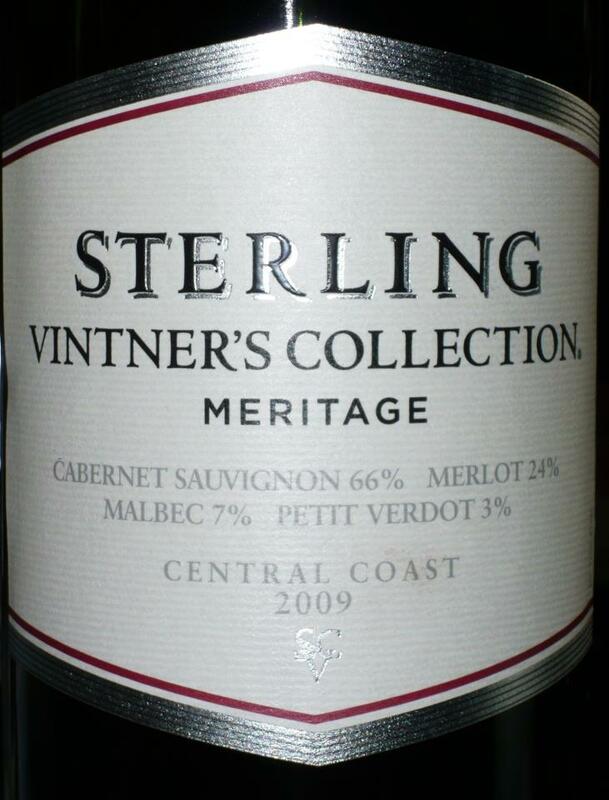 This entry was posted in Cabernet Sauvignon, California, Malbec, Merlot, Petit Verdot, Red Blend. Bookmark the permalink.